This statistic displays the frequency of internet usage during the last three months in Belgium in 2017. 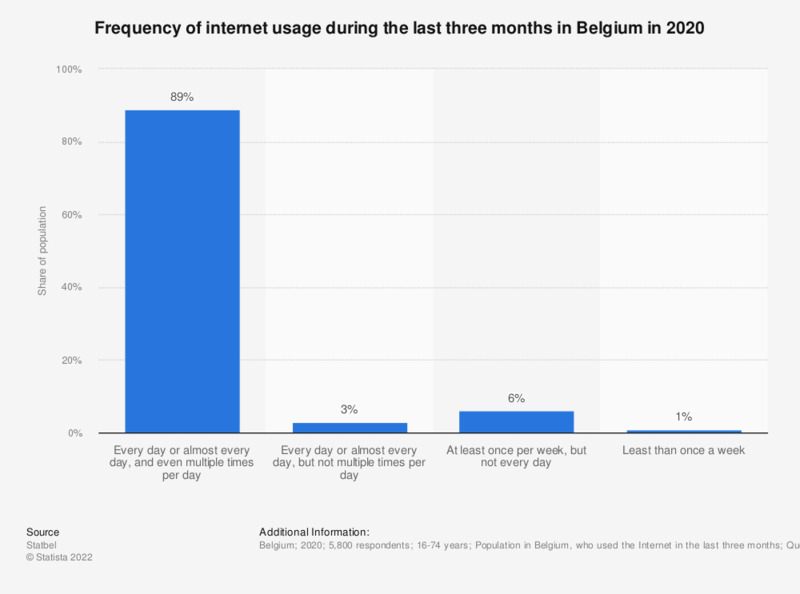 In 2017, 87 percent of the Belgian population that used the Internet in the previous three months, used the Internet every day or almost every day. Everything On "Media usage in Belgium" in One Document: Edited and Divided into Handy Chapters. Including Detailed References.